Two assassins-for-hire have an hour to kill before their next hit. To help pass the time, they entertain themselves by sharing horror stories to one another. Which hit-man's story will be deemed most disturbing when all is said and done? A decent alien abduction film that suffered from some bad choices. 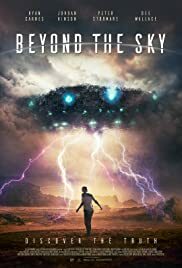 Overall, I'd say Beyond the Sky is a pretty good alien abduction film. But a few blunders here and there stop it from getting a better score. The movie makes use of some "cam shots", as it's basically following a video "journalist" (more of a blogger as he has no professionalism) who wants to disprove alien abductions. Fortunately it doesn't suffer from the usual shaky cam, blurry nonsense the "found footage" movies do. The camera shots are used in places and mostly done quite well. Most of the film is standard movie angles and all with just bits of cam footage tossed in at decent moments. Such restraint is definitely appreciated. On the flip side, the so called journalist really doesn't deserve the title. He basically aggressively accuses alien abductees of lying, constantly getting in their face about things. While it's fine to not be a believer, to basically tell people that they're lying to cover up other traumatic experiences and badgering them about is downright stupid, and usually would result in a punch to the face. As a journalist, or even just a human being, the way the main character treats others is downright shameful. The special effects are decently done (though most of that budget goes into the last few minutes of the movie). No cheesy special effects that you'd see in a SyFy flick. They have a budget and work well within it to make the most of the presentation. 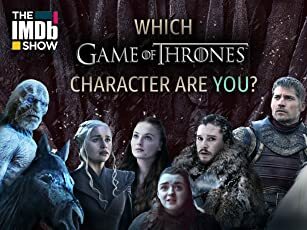 One of the biggest flaws for me though, is that the movie basically does one of the stupidest things any show or movie could do. It shows you parts of the ending, and then jumps back to X days earlier. NEVER do that. EVER! You're basically spoiling your movie right from the start, which for a lot of people is enough to just give up on it right there. When you know the outcome, then all the rest of the movie becomes mostly meaningless. Everything that could have been an interesting reveal basically becomes an expected outcome. If not for the horrible idea to put key parts of the end right at the start, this movie would have probably scored an 8 out of 10. It's really a wonderful low budget alien abduction film with a lot going for it.